Our home was built in 1952. Five years ago, we decided to add electrical outlets, install child-safety outlets, rearrange some of the existing outlets into separate circuits, upgrade our electrical service panel, and have some new overhead lights installed. Years before, the previous owners had installed a breaker style service panel but it was not sufficient to our needs. Friends and relatives recommended some electricians for the work. Angie’s List was a key element of our search for a qualified and highly rated electrician. We eventually selected 3 electricians from which to obtain quotes. We listed, in detail, room-by-room, all the outlets, 2 and 3-way switches, circuit groupings, light placement, etc. that we wanted. 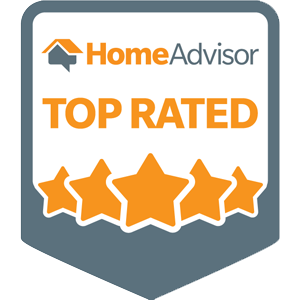 Although price always matters, it was important for us to find an electrician who took the time to listen and completely understand what we were looking for. Just as important were the types of suggestions and/or alternatives that they could provide. But most important of all – was the expectation of a high level of professionalism and attention to detail. Bill Reigel exceeded our expectations. His technicians were just as thorough and professional in the work they did. Reigel Electric has since done some minor work for us around the house, and has become the electrician of choice for our family in Erie. We will continue to recommend Bill and his team. Thank you for the good, quick professional service yesterday. Your Tech, John, was very nice and appeared to diagnose the problem quickly. I will certainly call you for any electrical problems I have in the future and recommend your company to my friends. I might add that Carlin Plumbing was at my house when I had this problem and they recommended you. We've been contracting the services of Reigel Electric at our Erie location for approximately 2 years. Bill and his staff are a pleasure to work with. They are a polite, responsive and competent company. I recommend them highly! I've worked with many electricians over my 25 years with DialAmerica and Bill and company are super!